Rock your look on the beach in our bikini. 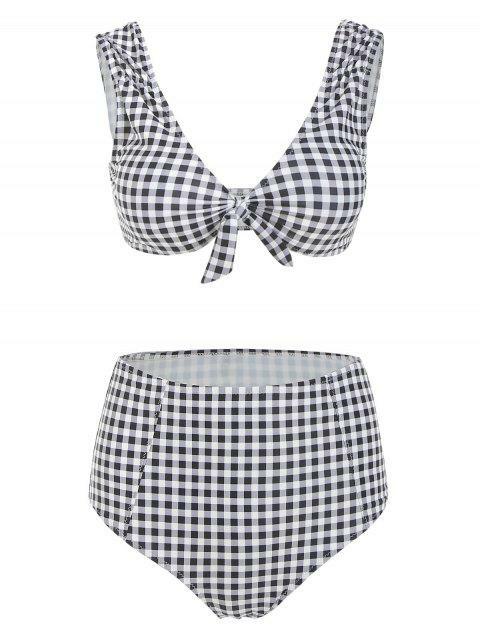 This plaid bikini set features a bowknot at the bust and padded cups. The matching bikini bottom features a high waist for a flattering fit.